Take Highway 96 North to Tenaha, Turn East onto Highway 84 got thru the Community of Paxton for abouty 2-1/2 Miles to County Road 3343, turn Right. Stay onto County road 3343 until it turns Eastward and the blacktop ends. 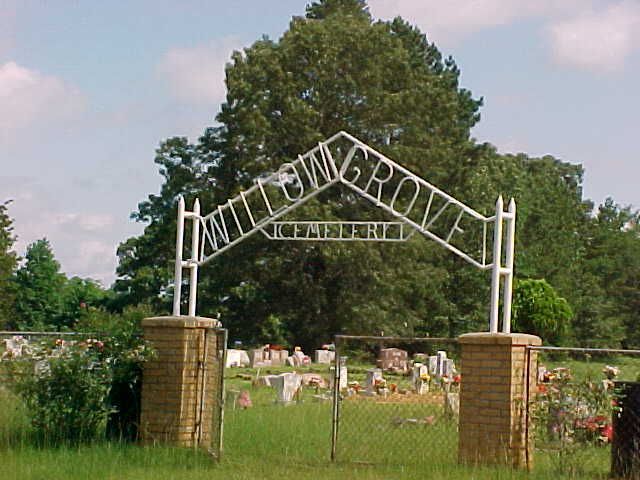 You will see the Cemetery on the Left hand side of the Road, across the road from the Willow Grove Community Church. Many Markers are made with metal crosses and are unmarked. Ethel (McCray) Baker 12-10-1921 03-15-2011 Wife of Lloyd McCray & L. D. Baker, Sr.
Linda Gail Holley 12-04-1955 03-08-2019 Wife of William T. "Willie" Holley, Jr.
Alvie Thompson 01-08-1895 03-28-1937 Wagoner 191 Field Arty., 86 Div.